Thanks to Greg Billing to proving me a link to the bill. 1. DDOT will have to regularly publish crash data, sidewalk closure information and information on citizen petitions for for traffic calming measures on its website, MPD will do the same with moving violations. DDOT will also report annually on dangerous locations. Every 5 years DDOT will report with recommendations on how to improve bicycle and pedestrian safety. 2. DDOT is instructed to create Bicycle and Pedestrian Priority Areas (at least one per ward) where right-turns-on-red can be abolished, speed limits lowered and more TCO and camera-enforcement can be utilized. 4. The law will be changed to allow cyclists to treat stop signs as yield signs, just as pedestrians do. DC would adopt an Idaho Stop law. (I had to reread it to catch it) Cyclists approaching a stop sign or stop light will be required to slow down, and if required for safety, stop before entering the intersection. After slowing or stopping, the cyclist will yield the ROW, after slowing and yielding the cyclist may proceed through the intersection. 5. Dooring will be redefined to explicitly include bicycles. 6. Bicycle insurance will be governed by the same laws as motor-vehicle insurance, and bicycle insurance providers may require policy holders to register their bikes. 7. All schools will have a curriculum available to them on safe cycling and walking. 8. For-hire vehicle operators will be required to learn about issues related to bicycle and pedestrian safety as part of existing mandatory training. And those using digital dispatch will require additional training. 9. The Mayor is required to study a remediation and deferred disposition program for people committing moving violations. 10. Repeat offenders will see larger fines - up to 5 times as much for 4th time offenses. This will be true for speeding offenses, crosswalk violations, right-of-way violations, stopping or standing violations (including in a bike lane, sorry UPS). 11. Drivers will no longer be able to use the phone when the car is not moving. 12. Drivers who commit 3 or more or a set of violations (like speeding or improper lane changes) can be cited for aggressive driving, which carries a penalty of $200 and 2 points and mandatory driver education. 13. All heavy-duty vehicles registered in the District will be required to have side under run guards, reflective blind spot warning stickers and either blind spot mirrors or cameras. This is currently the law for District-owned vehicles. 14. The Mayor is instructed to report to the council as to whether Circulator buses and District-owned heavy duty vehicles can be equipped with pedestrian alert technology. 15. If a District owned camera captures video of a crash all vehicle operators involved in that crash will be informed that the footage exists, the footage will be preserved and the parties will be assisted in acquiring the footage. 16. A Major Crash Review Task Force will be established to review every crash investigated by the Major Crash Investigation Unit and as a result, recommend changes to reduce the number of major crashes. This would represent a major improvement in the safety of DC streets for vulnerable users and put DC at the forefront of American cities with respect to pedestrian and cyclist safety. It's ambitious, but everything on here represents something for which consensus existed among the Bicycle and Pedestrian Task Force (which was co-chaired by the Washington Area Bicyclist Association (WABA) and AAA Mid-Atlantic). we find evidence that automobile insurance has moral hazard costs, leading to an increase in traffic fatalities. We also find that reductions in accident liability produced by no-fault liability laws have led to an increase in traffic fatalities (estimated to be on the order of 6%). Overall, our results indicate that, whatever other benefits they might produce, increases in the incidence of automobile insurance and moves to no-fault liability systems have significant negative effects on traffic fatalities. So, pedestrians who demand that cyclists be insured might be increasing their risk of injury (among other conclusions). Frequently we talk here about bicycling insurance and where to find it, and I was recently sent some promotional information about Bikeinsure. For $199/year you get three kinds of insurance coverage (up to $45,000) for expenses stemming from accidents while riding a bicycle. (The name makes me think of Baikonur Cosmodrome). Leilah Reese, a news aide at The Washington Post, does the unthinkable. She rode her bike to work. She's right to be proud, it takes a certain leap of faith to try it the first time. The Florida Rock development and its section of the Anacostia Riverwalk gets a little closer to reality with support from the ANC and a neutral response from the zoning commission. Let DDOT know what you think about parking - including bike parking. There are new insurance options for cyclists. 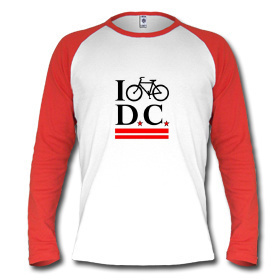 Better question: Is it time for DC to entice Interbike away? I rode across the new Wetlands Bridge this weekend for the first time since it opened. Saw quite a few people there as well as downstream of it (whereas I used to never see anyone along that part of Water Street). So it seems to be pulling people down to the river. Whether it will last, or it was just a bunch of lookie-loos will remain to be seen. I don't expect a lot of transportational cycling to be done on that bridge though. I know I mentioned that Metro is testing the new secure bicycle facility before, but I wanted to give it a little more time. This is actually a pretty big deal. It's the first time Metro is trying something between long-term secure parking (lockers) and short-term take-your-chances parking (bike racks). This kind of arrangement is not very common in the US, so Metro should be commended for getting out on the cutting edge. WABA was started, in large part, to turn the sewer grates 90 degrees. 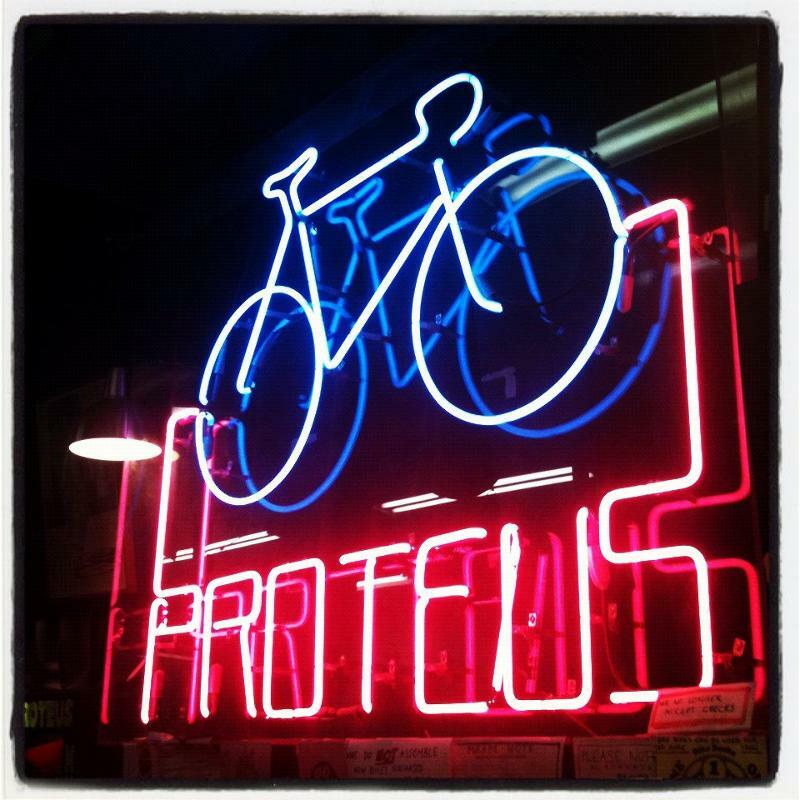 "Bikes need not and should not be exclusive to the spry and fit. E-bikes open cycling up to a larger population. Sure, they aren’t for everyone — I doubt I’ll end up with one any time soon. I think, however, they can absolutely be part of the bigger picture for getting more people out of their cars and onto bikes. There are details to be worked out, but on the whole, cycling is better off embracing — rather than shunning — e-bikes." One downside, currently they may be illegal on many area trails. The Better World Club will soon be offering one of the first bike insurance policies in the United States. They will soon be adding full-coverage insurance to their bicycle roadside assistance program. It will include both medical and liability, with optional coverage available for property damage and theft. But they need you to fill out a survey first. "Perhaps calling walking, biking and transit “alternative modes” is actually part of the problem. Perhaps we should be calling these modes “low cost, low carbon,” because that’s what they are. They are only “alternative” so long as we keep edging them out of the funding system. It’s like calling vegetarianism an “alternative” lifestyle – it might have been 20 years ago, but now it is a common, healthy option that many people use, making it no longer an “alternative” in the way many Americans use the term." Well, I'm going to disagree about vegetarianism...but there is no way we can call walking an "alternative" mode.